Dacia participates for the second year in a row at the Goodwood Moving Motor Show in the UK. All the models from the Dacia range will be available for testing on the famous British track. 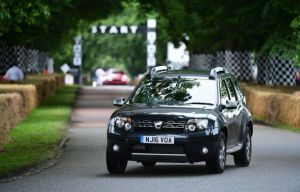 If in 2016 Dacia came at the Goodwood Festival of Speed only the Prestige version of the Duster, this year all the models from the Dacia range UK will be available for testing. Thus, Dacia Sandero, Sandero Stepway, Logan MCV Stepway and Duster will be present from June 29 on the domain owned by Lord March. All models will be available for testing on the Goodwood race track but you should hurry because the places are limited. 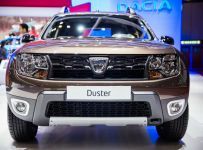 From June 30 until July 2, the Dacia models will be moved to an area called Static Motor Show, where the visitors will only see the displayed models, without the possibility of testing. 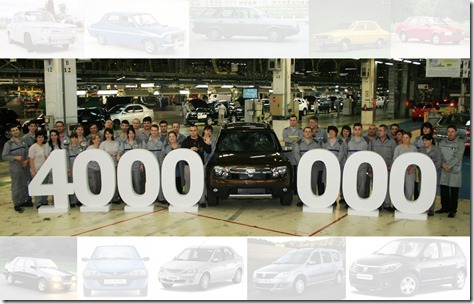 Dacia sales in the European Union rose to 196,103 cars in May, an increase of 11% compared to the same period last month. The most important markets for Dacia remain France, Germany, Italy and Spain.